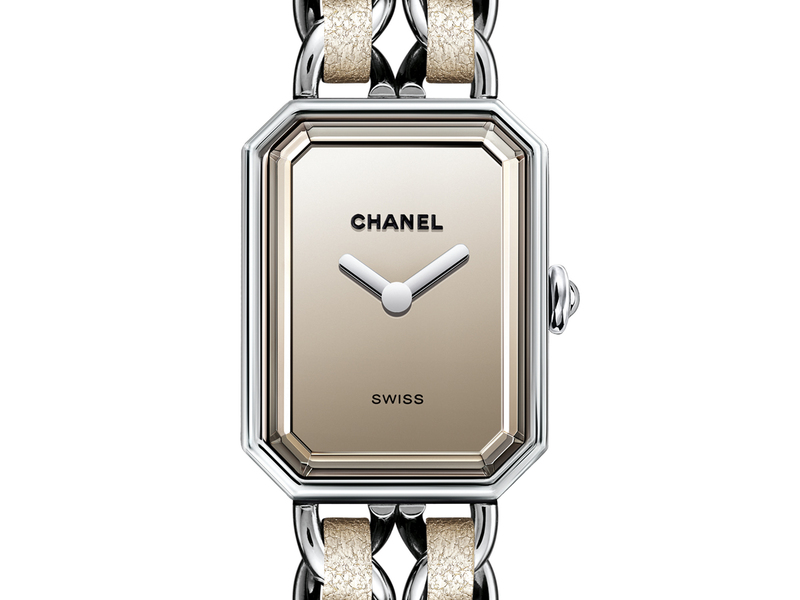 If you’re an avid fan of all-things Chanel, you would certainly be familiar with the Première watch, the very first timepiece created by the French luxury house. Characterised by the octagonal watch face which takes inspiration from the Place Vendôme and the signature scent’s No.5 bottle stopper, the 8-sided detail is associated with architectural perfection and timelessness, both of which can be said for the timepiece. Today, the Première family of watches consists of four different sub-categories: the Chaîne, Mini, d’Exception and of course, Rock, which is all about leather (or fabric) interwoven within the chain bracelet. And the subject of today’s post? The new Première Rock Gold that has Coco Chanel written all over it. Firstly, it comes in gold, one of Coco’s favourite colours. The second? The timepiece also features a mirrored dial, which is said to echo Coco’s private apartment at rue de Cambon, where every room was filled with mirrors. Now available in Singapore, you will find the Première Rock Gold available in two variations. The first comes in a steel and golden fabric (SGD6550), measures 26.1 mm by 20 mm and is available in 6 different strap lengths ranging from XS to XXL. 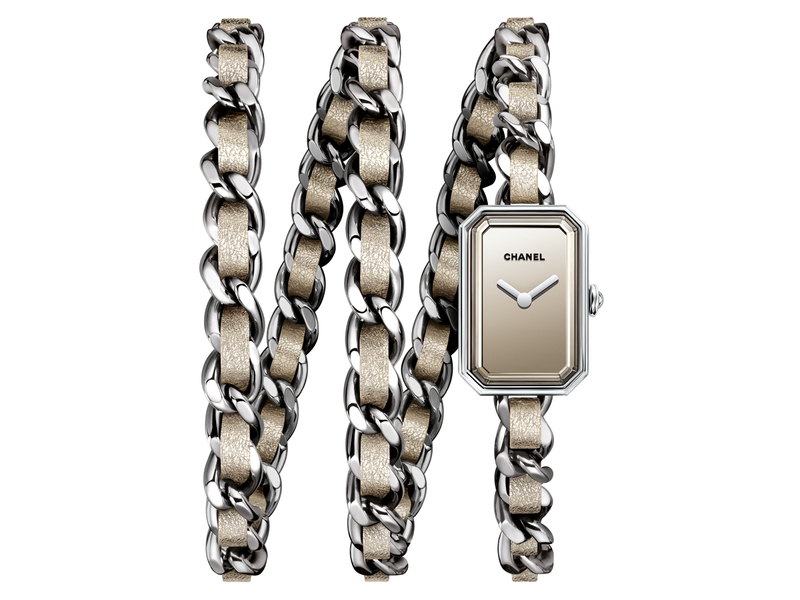 The second also features steel and golden fabric, but comes with a longer strap that can be twirled round your wrist 3 times (SGD6600). Featuring a watch face that’s slightly smaller at 23.6 mm by 15.8 mm, what it lacks in size is made up by the fact that it can also double up as a fashionable piece of #wristcandy when it is worn around the wrist. Available in 4 strap lengths ranging from XS to L, there’s definitely a size for everyone. Limited to just 1000 pieces per style, head on down to Chanel’s Fine Jewellery Boutique at Ngee Ann City to get up close and personal with the Première Rock Gold.